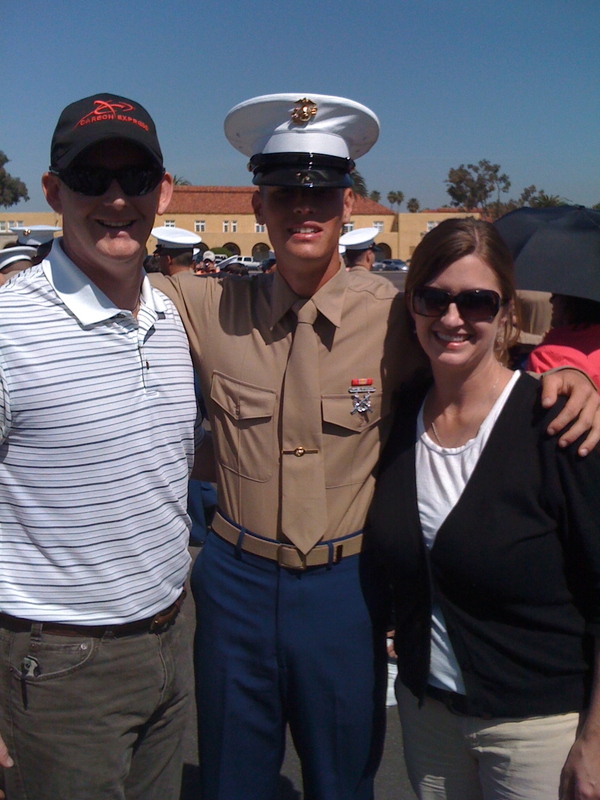 This past Friday, Stephanie, the boys and I had the privilege of being with my sister and her family as we watched her son Joshua graduate as a MARINE at the MCRD in San Diego, Ca. As I thought about Joshua (my nephew) I reflected back on the day he was born. I then began to think about him as a man, a Marine, and a follower of Jesus. My thoughts then drifted to the Joshua of the Bible, his learnings, leadership, and mistakes. There is a parallel between the Joshua of the Bible and the oath he made as a leader and my nephew Joshua and the oath he has taken as a Marine. Joshua (from the Bible) was called out to lead the people of Israel after Moses. He was Moses aide from a very young age. As you might recall he and Caleb reported back that “The land we passed through and explored is exceedingly good. If the LORD is pleased with us, he will lead us into that land, a land flowing with milk and honey, and will give it to us.” Joshua’s faith and the spirit of God led him to be Moses successor. Joshua was proven in courage and leadership. He was a warrior and led the nation to victory. Joshua led the people across the Jordan river on dry ground, just as Moses had done at the Red Sea. He fought the battle in Jericho. Joshua was an example of leadership and his name when out across the land. Because of his prominence, nations began to fear Israel as well as banding together against them. This led to Joshua making an oath with a group of people who feared him. The only problem was that he had not sought out God’s will prior to making that oath. Even though Joshua had not sought God, He still expected Joshua to uphold the promise he made to the people. 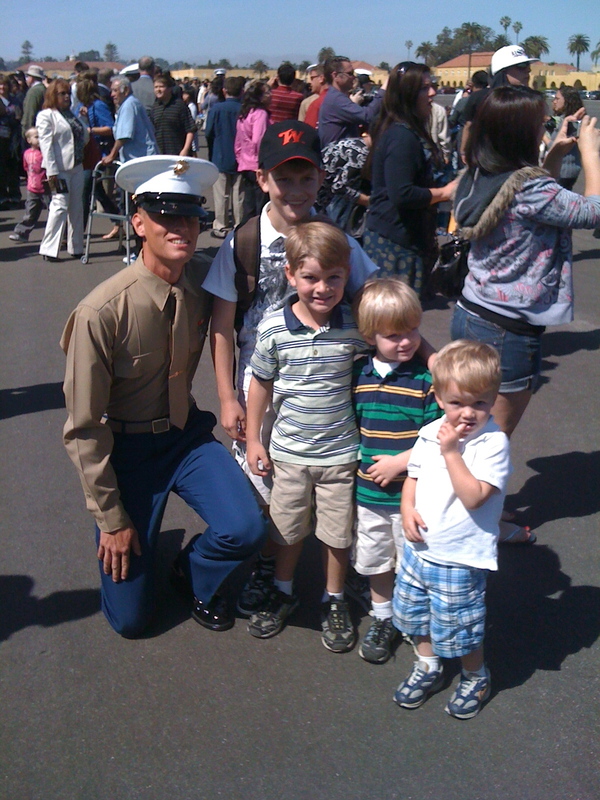 My mine then quickly jumps back to thinking about my nephew Joshua and the oath he made as a Marine. Look at the Motto of the Marine Corp.
6 Be strong and of good courage; for thou shalt cause this people to inherit the land which I sware unto their fathers to give them.7 Only be strong and very courageous, to observe to do according to all the law, which Moses my servant commanded thee: turn not from it to the right hand or to the left, that thou mayest have good success whithersoever thou goest.8 This book of the law shall not depart out of thy mouth, but thou shalt meditate thereon day and night, that thou mayest observe to do according to all that is written therein: for then thou shalt make thy way prosperous, and then thou shalt have good success.9 Have not I commanded thee? Be strong and of good courage; be not affrighted, neither be thou dismayed: for Jehovah thy God is with thee whithersoever thou goest. – Am I going beyond teamwork to create an outdoor brotherhood and lasts for life? – Am I remaining faithful to the mission I have for my company, and to others in the industry, no matter what? – Have I made an oath that I’ve broken? If so, how am I going to make it right? As men and women who are passionate about the outdoors we too need to be “always faithful“. Faithful to helping each other be healthy and balanced in our everyday life, our love of the outdoors, conservation of natural resources, and positively impacting future generations of outdoorsmen. I would also like to submit that we be responsible to seek God’s direction before making and/or taking an oath. The Joshua of the Bible – His “oath” stands to this day. My nephew, Joshua – His “oath” lasts forever. Two “oaths” thousands of years apart – once made… lasts forever.